Discuss on the KSP forum page. Guys, Download the version on CKAN, I'm having no issues what so ever with it. Download the version on CKAN, I'm having no issues what so ever with it. I have an issue, I don't know if its just me, or if its something with the mod but, when right clicking the module (the ones that control the weapons, Can't think of the name off the top of my head) I don't get the GUI, It just open the UI for the part underneath it (I assume that the person below me has the same problem) Help? Please? WHEN I TRY TO RIGHT CLICK ANY MOD ITEMS IT ACTS LIKE IT CAN'T RIGHT CLICK, ITS LIKE RIGHT CLICKING A WING. PLEASE HELP. Here's something weird, So I go the game on steam, and after messing with it, Got some mods. 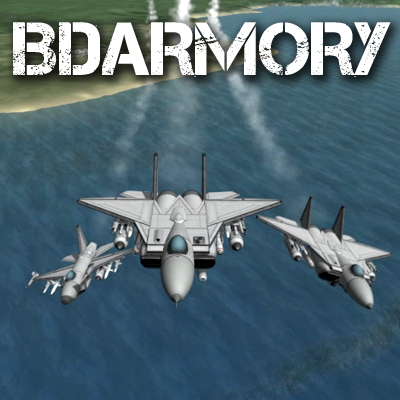 I saw a video with BD armory and got the mod, I saw in the videos of the people right clicking to see stuff, I load up the game and right click on a 50. Cal turret i Installed to a plane. Nothing happens. Any Help? I keep teleporting into space when i launch i have installed it in the correct place. Anyone having the same problem or knows how to fix it? If so message me on gmail. this happens to me. when is the mod updated?